Such a beautiful, bleak song. And seemingly as appropriate in 2019 as when it was written. 1983, Rock Super Bowl in Orlando, FL - The Animals, The Fixx, The Police. I can remember someone throwing a shoe at the Fixx's lead singer and it hit him crotch level. He sang right through it. Weird. Also remember getting my first buzz off a contact high from all the weed being smoked. 14 years old. Good times, man. I was there too! Just a 24 yo sailor among friends - excellent concert! If you think the '80s was just "hair metal and...synth stuff" you may not have been listening in the right places. Aside from U2, there were Talking Heads, The Clash, REM, The Psychedelic Furs, XTC, The Smiths, Squeeze, Split Enz, INXS, The Cure, The Replacements, The Pixies, and others making great music in the 1980s. To people running in the "Classic Rock" hamster wheel (not you), those bands may not seem so great, but none of them were "hair metal" or "synth" bands. Some of the electronic bands were quite good as well (more the ones who emulated Kraftwerk), but there certainly some bad ones. I've got to agree with this. There was quite a bit of good music that occurred during the '80s. As with any period though it seems that you had to look a bit further or dig a bit deeper than what was being spoon-fed to the general public via most radio stations. However, there were some great radio stations that started changing what the public was hearing and played some really great music during that period. (looks up actual lyrics)... well damn, finally after 35 years I've figured out the real lyrics.. can't believe it took that long. On another note it's nice having the studio version. The live version just sounds like typical 80s arena rock, while the studio version has that massive mystical, world-moving baroque ambience that typified early 1980s new wave. Seeing them live next week! One of my fav 80’s bands. Holds up well, still sounds fresh. What a blast from the past. Gave it an 8 just for the memories. Should be a 7 like the majority but just for the memories. Thanks RP. I was living in England when this came out - transported back when I heard those opening chords. One of my favorite albums from that period, the other being Marshall Crenshaw's "Field Day." It's all too common and easy for people to pontificate how much "'80s music sucked", especially for your garden variety, dyed-in-the-wool, classic rock disciples. It's also easy for many people to forget how much lousy music there was in the 1960s and '70s - largely because we weren't as bombarded with it, via MTV, as we were with music in the '80s. I'm not sure if it was "uniformly excellent" though, there was a lot of Phil Collins back then. Sure there was lots of lousy music in the 1960s and 70s. But also a lot of great music. There just was hardly any good music coming out of the 80s. It was hair metal and this type of synth stuff. All generalities are false, though, as the joke goes. I think Dire Straits and 80s U2 stuff (not as much of a fan of their stuff after Achtung Baby) were pretty good. But stuff like that was the exception that proved the rule. I'm not saying this as someone looking back. I am saying this as someone who has always been very into music since the early 70s and who was constantly evaluating what was available. The 80s were a drought that were rescued by the music of the 90s. And no, I wasn't watching MTV during the 80s. pfft. each decade brings something new and wonderful to the buffet. I find claims about the poverty of any given decade to be empty of meaning, perspective, or value. those opening cords . . . I saw these guys last year in a very small club in the Bay Area with about 30 other people. Sad that more people couldn't appreciate this very talented band but excellent that I was able to walk right up to the stage. They're still out there...Go see them! They did an amazing show and I was really struck by how good Cy's voice was after all these years. He was really into the show too...not just going through the motions. Um, no, 80s were not uniformly excellent. Not even close. I lived every minute of it. Two words: drum machines. the 80's were about big hair, heavy metal and Rush for me, no drum machines allowed.. Under rated Group.....Lots of good tunes. Agreed. After more than 30 years, I just looked up the lyrics to this song. Quite a good lyricist on this tune. I'll have to look up the others. Uniformly excellent and upbeat? I'll have to disagree with that. As with any time period there was a lot of awful music put out. Most of the good stuff flew under the radar for most people. Furthermore, there was lot of excellent music that wasn't "upbeat". I find it strange how many people think of the 80s as some great decade. A decade where nuclear war was being threatened all the time. A decade where the phrase "greed is good" became a mantra for Wall Street and big company mergers that put a lot of people out of work. A decade where Reagan raised taxes four times, and when Bush Sr. promised "No New Taxes" then proceed to raise taxes. A decade that ended in a recession. The good music in the 80s reflected this and wasn't necessarily upbeat. Don't forget the Savings & Loan Crisis (followed by a Stock Market crash) which was part of the recession. In late August saw The Fixx in concert in Connecticut—outdoors on the beach as the sun set. I'd forgotten how many great songs they had, including this very 80s one: "It's the Eurotheater!" By the end of the concert the whole audience was on their feet dancing and singing along with "One Thing Leads to Another." 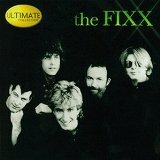 The Fixx had a couple really stellar offerings during their short tenure. Dancing in the kitchen thanks Billy. Please spare some coins to radio paradise. They need our support to survive. Donate right now! Or put them on auto-pay, like many of us have. Money well spent. Reach The Beach, the first album that I ever bought as a 12 year old with newspaper money at the record store at Roosevelt Field on Long Island. I came to comment on the song, but then got caught up in reading the reminiscences. That is ALSO what makes RP so amazing. The posts and reflections. We traveled through time together, yet apart. I remember seeing that same tour. That was a great triple bill at the time. Saw that show at the no-longer-standing Hollander Stadium in Rochester, NY. It was 9,000 degrees, and Flock of Seagulls got basically booed off the stage, which was a shame because they were surprisingly good, I thought. I really love the very Alan Parsons Project-style beginning of this, the cool sci-fi like lyrics, and the catchy themes repeated throughout. The 80s sound uniformly sucked, with a few exceptions. This sound is so firmly rooted in that period, but it's still pretty dang good. Yah, and not really all that guilty. I bought my first CD player in 1984 - and three CD that day - this was one of them! Loved those MTV deejays, desperate for any news, any news at all!!! Always liked this one. Flock of Seagulls next? Good God it's great to hear this again! A freakin' classic—one of the few from that era. have loved this from a long time back but forgot it existed! !.....haven't heard it in years - still as great as ever !! Song is a 7, but gave it 8 for the memories of youth. First concert ever, The Fixx, Flock of Seagulls and the Police on the Synchronicity tour. Summer of 83? Haven't heard much Fixx on RP lately. Thanks, Bill! Excellant Set!!! A music appreciation class led by a brilliant DJ, A1! Had to bump it up to an 8 for the guitar…so sad and yet sweetly uplifting, then the lyrics…love these guys. Secret Separation was always my favorite. An excellent choice, Bill. Thank you so much for being brilliant. Great tune, with lyrics oddly still relevant over 25 years later. The 80's were insane. Everybody wanted it all,but no one knew what they wanted. Yeah man, far out! I'll never forget trying to wash all that Peruvian flake out of my Izod shirt after the U.S.A. For Africa concert. It's like they say, "If you can remember suffering from 3rd degree burns caused by hairspray in the 80s, you weren't there!" Still wonder why these guys were not bigger! They didn't shake up their sound up enough. I think a lot of British synth-pop bands from the 80s got pigeonholed in the US by one or two big hits. Pop music embedded them in amber and moved on. The biggest example that comes to mind was Simple Minds after "Don't You (Forget About Me)". This is probably the only Fixx song that I liked then and like now. Just didn't cotton to their sound for some reason. That's got to be the wrong year. Amazon has Ultimate Collection out in 1999. Anyhoo, just in the early 80s they had three #1 hits, five hits made the Top Five, and a several more made the Top Ten. Thanks for the research—I feel vindicated. I actually saw the Fixx "Reach the Beach" tour at Six Flags (NJ) around '84, although I had no idea who they were and didn't really care for the music. How did these guys have an "Ultimate Collection" already in 1984 !!? Wow, a timeless classic...I recall driving along the Bolsa Chica State Beach parkway on a trip out to SoCal in the early 80s, maybe late December of '82, and this came on the radio...I parked and sat there looking out at the sea in the moonlight...and thanks to RP, I can still access that high...and it still feels right! Wore this cassette out in my VW Bug!!! Really wish I hadn't missed this. It's been a long time since I've heard it. This and Red Skies both have weathered time well. Better than most 80's production. Both of those songs clearly show the cool laid back groove the band was capable of. I think "Precious Stone", "Secret Separation" and "Don't Be Scared" would qualify also. Of course, those three never get played anywhere anymore. Wow ! Haven't heard this since high school... weird memories coming back ! Thank You! These guys wrote some pretty good songs. About the only two Fixx songs I liked. Good to hear this again, actually. Where's the "Red Skies At Night?" Yeah, sounds particularly like Girls On Film to me. One of my favorite 80s bands. They still sound good today. That's the first tune of theirs that caught my ear, or was it this one? Either way, I like 'em. HA HA HA HA HA HA A! One of my guily pleasures ... liking a "corporate sellout" song. Oh yeah, and watching MTV when it actually played music videos. I can hear it echoing down the stairway of my flat in London. Happy days . . .
Maybe you'll have a chance to, they do still perform live. They put on a decent show, I've seen them twice — once at the Fenix Underground in Seattle 1998, and I actually got to meet Cy! (I had such a crush on him back in the day...). The 2nd time I saw them was 3-4 years ago at the Temecula Wine & Balloon Festival outside San Diego. I think this song in particular is special to me because it was one of the first videos I remember from when Mtv was just starting out. Powerful images when you're a teenager — I guess it made a lasting impression on me! My wife and I were just in Temecula in late May, it was like paradise. Adding a fixx concert would have been awesome! Never heard this song before, let alone heard of the band. But it's good. Only on RP I discover good stuff that's 28 years old. Indeed. I went to the lyrics link and checked it out. Several timely references in there. I like the band...but they didn't age well musically. Used to be a major Fixx fan. Love Cy's voice. Wish I'd have seen them live. But it is great to hear an old tune like this and daydream for a minute about sitting around the house with you best friends, watching MTV, and having nothing better to do. God, that sounds more and more like bliss to this old guy. Wow. Didn't know this had made it to the RP music library. Great addition. Wow! The Fixx. Great choice. Been so long. I think they are one of the most original and under acknowledged pop bands of the 80s. Very good song... the 80`s were a perfect time for a pop group! Haven't heard this in ages. Sounds better than I thought it would after all this time. I always thought these guys were better than a lot of the other 80s bands that they got lumped in with. The year I started raising a family; I was 24. Oiy. Great big hair! - wonder if they still have much. I'll have to dust off some of my Fixx CD's now. Thanks Bill!